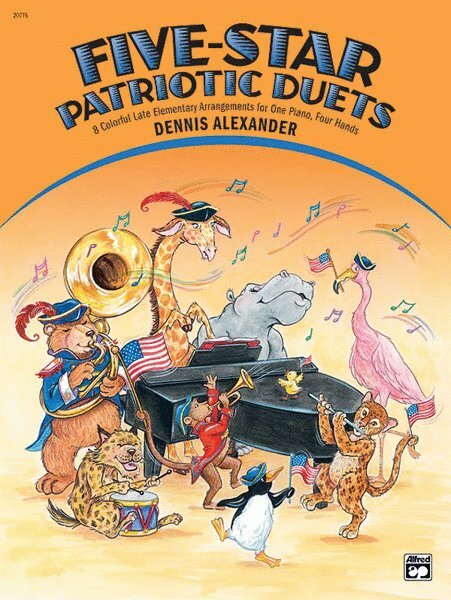 Students have always enjoyed playing patriotic pieces. The eight patriotic selections contained in Five-Star Patriotic Duets will be appealing to late-elementary students of all ages. The primo and secondo parts are equal in difficulty, and each player always gets a chance to play the melody.